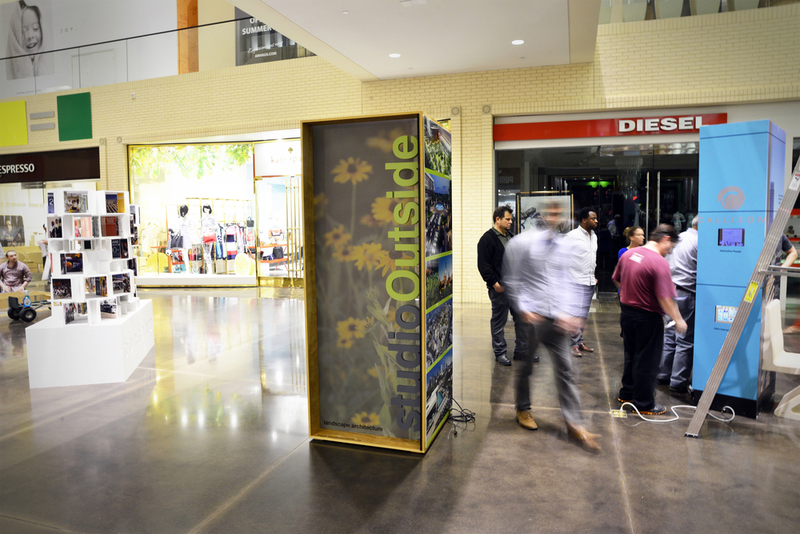 We had the opportunity this year to exhibit our firm's work and do some creative construction for the Retrospect 2014 exhibition held at Northpark Mall in Dallas. 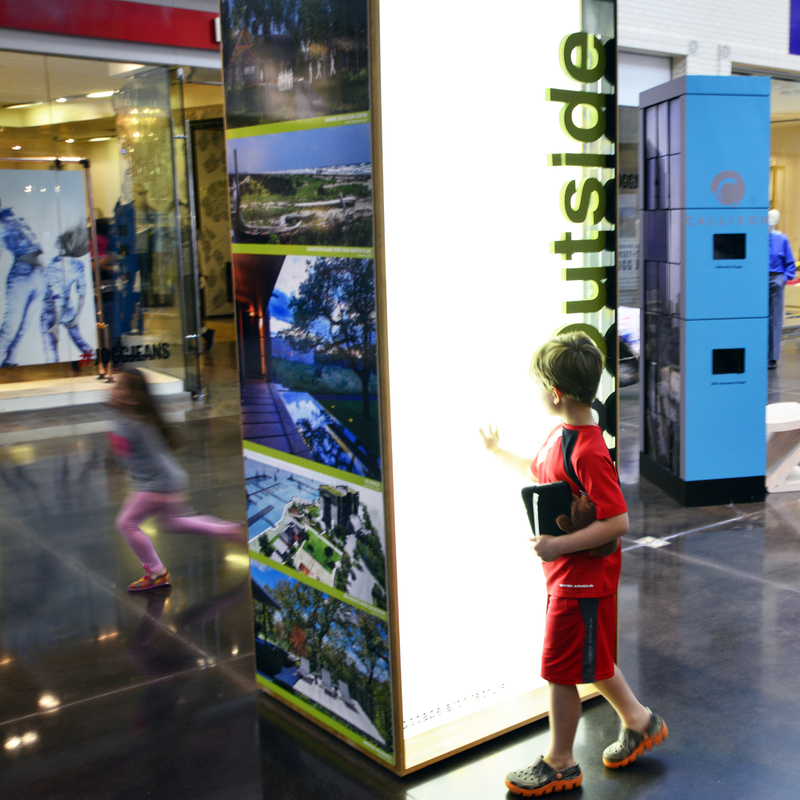 First held in 1990, Retrospect is a public exhibition organized by AIA Dallas that serves to highlight the work of Architecture, Landscape Architecture, and Interior Design firms around the region. 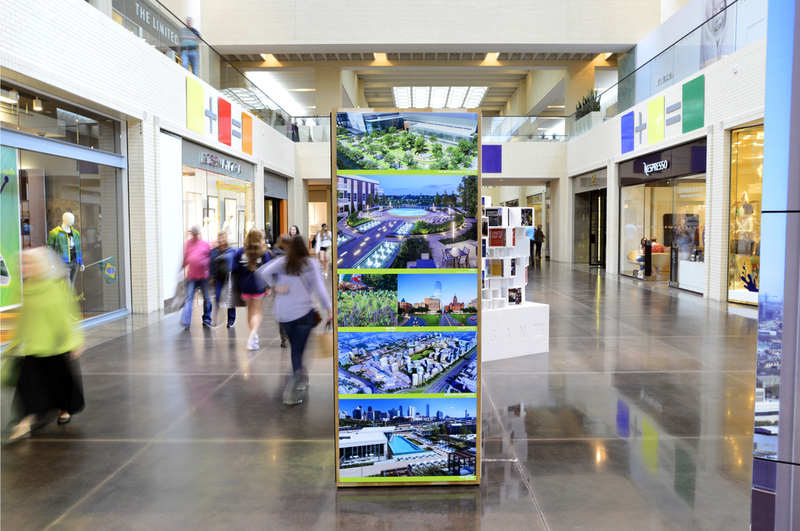 It's a great opportunity for us to reach out to the public and not only promote the Studio Outside name but also the field of Landscape Architecture in general. 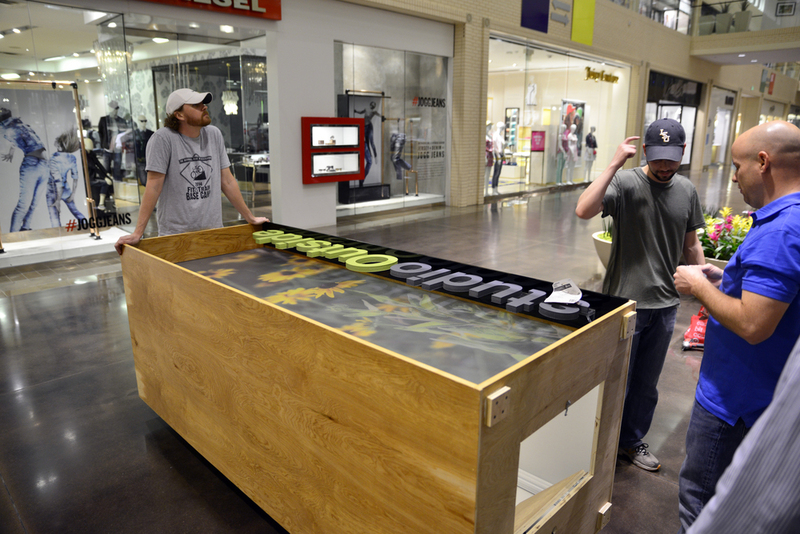 This year we decided to keep it simple: within our assigned 3'X3'X8' space, we created a wooden exhibit box, solid on three sides and positively glowing on one side, with the firm's cut out letters nicely back-lit. We think it turned out pretty well, and there were a ton of other creative and out-of-the-box (so to speak) constructions from other firms there.